Dynamic web pages make your web site interactive and more attractive, for example, running a web forum system or web mail system require you to have dynamic web page platform, RaidenHTTPD is exactly designed for dynamic web pages. 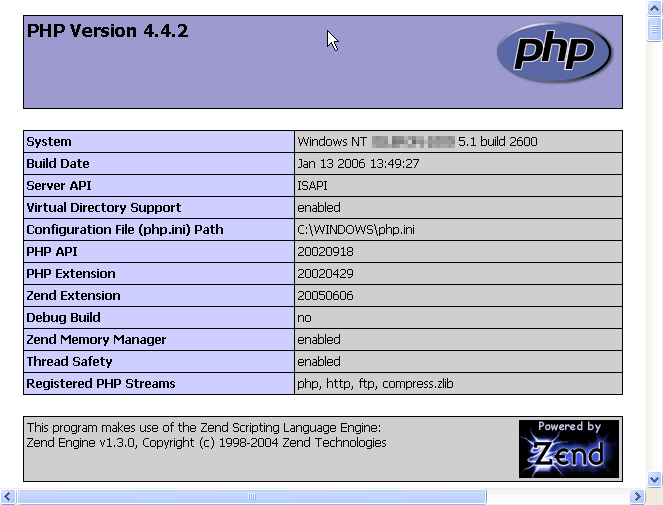 PHP: PHP environment is pre-installed by RaidenHTTPD, there are 2 series of PHP at this moment, they are PHP4 and PHP5, PHP4 and PHP5 are different in various ways and unless you are developing your own applications and plan to use MySQL5 series, PHP5 is not recommended, PHP4 version is the one that is compatible with most of the PHP software packages that you can find in the internet. 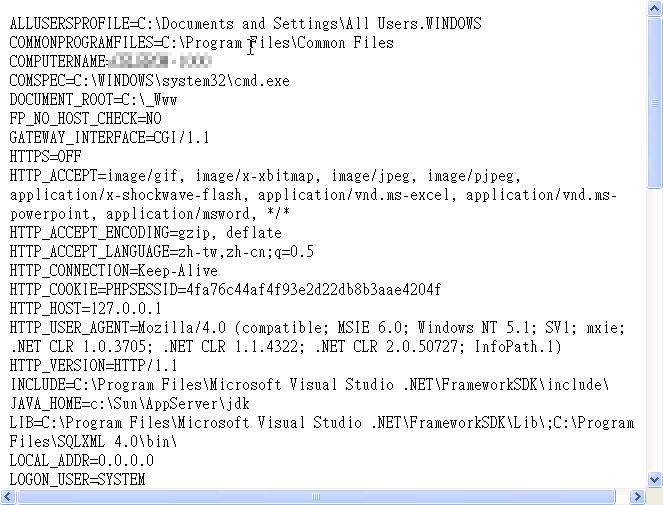 note: when installing RaidenHTTPD, plese close other web server softwares that may be using PHP. and save this file into your web's document root directory, and open your browser and access http://YOURDOMAIN/test.php and you should see php information page. and save this file into your web's document root directory, and open your browser and access http://YOURDOMAIN/test.pl and you should see perl environment variables page. © http://www.raidenhttpd.com/, 2002-2012 all rights reserved. The copyrighted works contained in this information service shall not be copied, reproduced, varied, altered, modified, adapted, distributed, performed and displayed in any form without the written permission of the copyright owner. All trademarks belong to their respective owners.